Women of WMCEC come together for an Enrichment day in April. 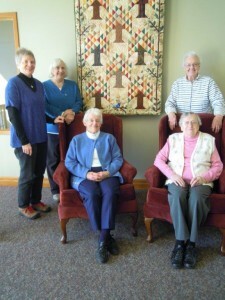 In February the K-W cluster of churches women enjoy a breakfast meeting. In October, WMCEC hosted a retreat using MWUSA “sister care” materials. 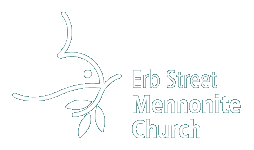 For the past 102 years the women of Erb Street Mennonite Church have met regularly to sew, cook, can, bake, make funeral sandwiches (the best in Waterloo Region! 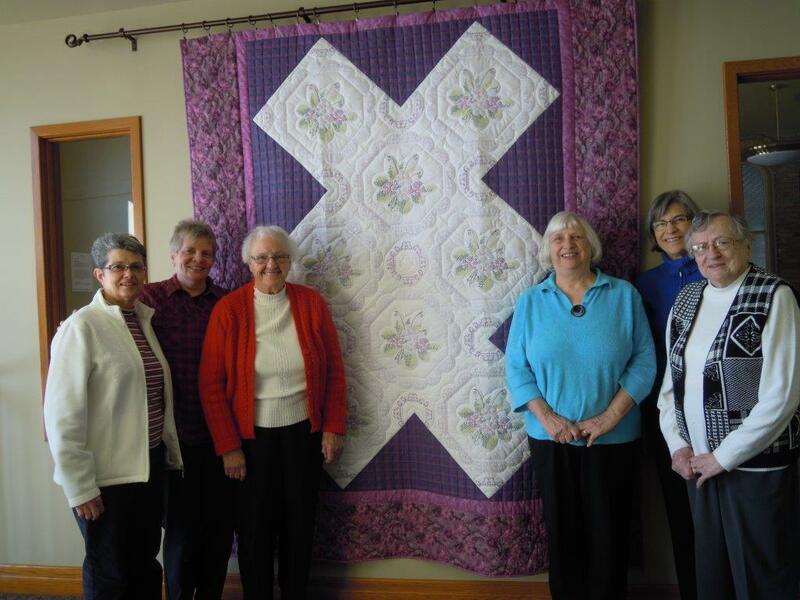 ), bake pies; quilt for the Relief Sale, knot comforters, patch, raise funds… and they are still meeting monthly and still completing many of those tasks. In 1916 the Junior Charity Circle was formed for younger women and met for 50 years. CHARITY was an acronym for cheerful, helpful, active, reasonable, interested, tactful, yoke-bearers. A girls club called the Cheerful Sunshine Band was formed in 1940. Sometime before 1976, Margaret Brubacher Good helped form the Beacon Mission Circle. Young women who couldn’t get away during the daytime met in the evenings and shared the work of the senior group until the Circle was disbanded in 1983. For years the Social Committee of the Women’s Missionary Service Auxiliary (WMSA) prepared and served at most of the church functions requiring food, such as funerals and choir events. Social Committee members, along with other women, also made thousands of pies for the Relief Sale, canned for the Ontario Mennonite Bible School in Kitchener, prepared and served Manna meals for seniors once a month – all in the old kitchen which was about one-quarter the size of our present wonderful facility – and there was NO dishwasher!